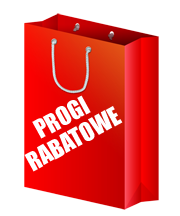 Watercool MO-RA3 360 PRO black :: ..:: Angela.pl ::.. The MO-RA3 is a heat exchanger featuring excellent cooling performance and various possibilities of application. 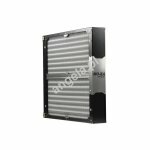 Its reliability allows for usage in workstation and server environments and it is sturdy enough for industrial applications. 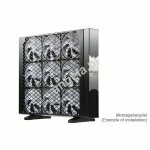 And, of course, it is powerful enough to cool even the hottest gaming PC. True to the slogan “there is no replacement for surface but more surface”, the MO-RA3 uses 28 m copper tubing and 2.5 square meter of aluminium fins for excellent heat transfer from cooling fluid to ambient air. The cooling fluid passes the 72 tubes in a four-time parallel layout. This design and the flow-optimised connection block ensure a low flow-resistance, despite the large size of the heat-exchanger. The connection block improves flexibility as well by providing G1/4“ threads in three directions. The fins of the MO-RA3 have been optimised specifically for low-rpm fans. Their enormous surface and effective geometry guarantee excellent cooling performance. Screw kits for fans of greater height are available. The MO-RA3 PRO allows mounting of fans on both sides, thus using twice as much fans, as the MO-RA3 LT. The double-sided mounting enables an effective push-pull operation. Additional threads are integrated for accessories. Select from various grills, feet, and external mounting brackets. The MO-RA3 is shipped ready to use, except for fans and fittings. This includes G1/4“ sealing plugs for unused threads, screws for fans, and spacers for mounting it onto a case. The MO-RA3 is produced in Europe. Development and final assembly happen in Germany, like the manufacturing of most of its components.